I've been doing end of the year round-ups on the food blog (ChicagoFoodieSisters.com) and wanted to take time to do one here, also. I wanted to share the most-viewed posts on the Midwest Family Traveler blog this year. It's so much fun making our way around the Midwest throughout the year and sharing those fun destination and attractions we come across. I hope you'll scan through and think about visiting some of these, as well. For years, I've been reading about Wilmot Mountain, a ski resort just over the Wisconsin border from where I live in the Chicago area. I got a news release last week announcing all of the fun coming up this season, which kicked off this past Saturday and includes several special events, including one celebrating their 80th season. The resort has also undergone $13 million in improvements by new owner, Vail Resorts. Read more below and make your plans to check it out this season! WILMOT, Wisc. 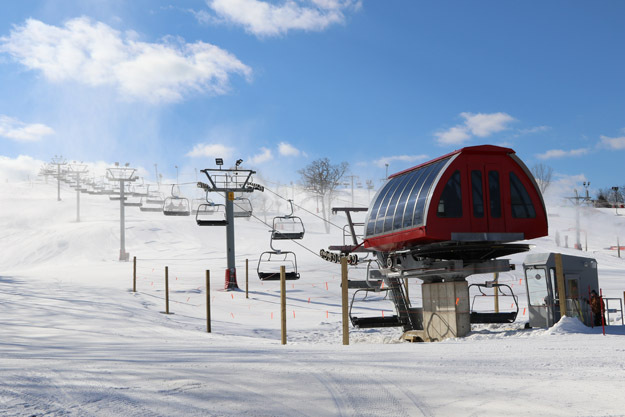 – Dec. 7, 2017 – Wilmot Mountain, a long-time favorite Midwest ski destination, announced today its opening date of Saturday, December 9, 2017. In addition to welcoming guests back to the ski slopes, Wilmot Mountain is celebrating its 80th anniversary season with even more improvements and new events! 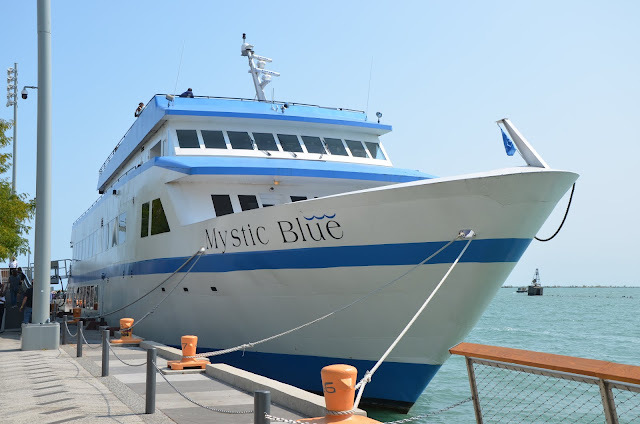 One of my favorite things I did this past summer was doing a craft beer cruise out of Navy Pier on the Mystic Blue. 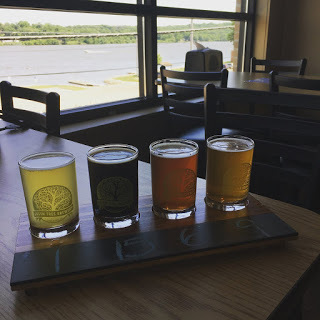 Just like at a regular beer fest, you get to sample a variety of different brews, but you also have the advantage of getting a cruise on Lake Michigan included with your ticket as well as an appetizer buffet. The cruises take place each month starting in May and running until September or October. Tickets are currently on sale for the 2018 season, so start making plans for your visit to the city and your beer cruise on the lake with a view of one of the prettiest skylines in the world. This is one of these little hidden gems that is a great stop for families visiting the area. There are limited hours, but if you call ahead and are able to stop when they are open for visitors, it offers a wonderful educational opportunity and a place for some play and exploration for little ones. While the facility is mainly used for field trips and education resources for local schools, it is also open to the public. 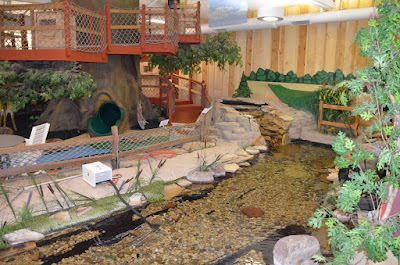 Within the building is a trout stream with trout that have been raised in local classrooms and then brought back to the indoor stream. A two-story treehouse play area offers fun for little ones. There's also a room full of recyclable items and tables where you can sit and craft items out of cardboard, plastic and other items. For more information or to schedule a group tour, call 219-853-2420 or visit lcswmd.com. There area a handful of holiday movies I could watch over and over and over - and I do. Some of the classics have to be watched each year for the season to be complete. One of those is It's a Wonderful Life. It's a throwback to a simpler time, but the sentiment is the same. It carries many of the themes that define the season - giving to those in need, being generous, counting your blessings, seeing the value of people over money, recognizing the gift of friendship, celebrating with those we love. All of those themes are also present in the production of It's A Wonderful Life: The Musical playing through December 23 at the Theatre at the Center in the Center for Visual and Performing Arts in Munster, Indiana. And it's just as endearing as the black-and-white Jimmy Stewart classic that I watch on television each year. Are you a fan of holiday lights and outdoor decorations? Do you love the holiday movie "A Christmas Story?" This is the 30th year that Pete Basala has been decorating not just his house, but the yards of several neighbors. It has evolved into five yards full of inflatables, lights and some of his creations that include a carousel, teeter-totter and Ferris wheel. 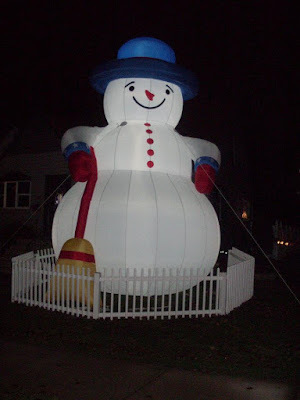 The Christmas display is known as "Peteyville." The biggest name in farm equipment, John Deere, has strong ties to Moline, Illinois. After developing a plow that would prevent soil from sticking to the cast-iron plows of the day, Deere eventually ended up in Moline in 1848. The location along the Mississippi River was ideal for a factory with access to the river for transporting materials for manufacturing. 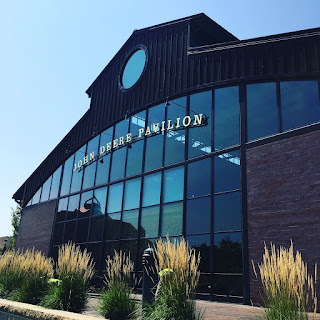 The John Deere Pavilion in Moline is a free attraction that will appeal to the kids and the kids at heart as well as those with an interest in farming, history and business. The pavilion is part exhibit, part education and part big equipment playground with plenty of big pieces to climb up on and explore. It opened in 1997 as part of an urban renewal project and is part of the John Deere Commons in the downtown area. The pavilion is open daily, except for major holidays. The interactive Discovery Zone offers plenty of fun for kids with simulators and an activity table. As a mother of five sons and with a husband who has always had an interest in cars, I always get excited if I notice that there is an automobile museum near our destination when we travel. After hours of boys complaining in the car that they are bored, it is something I know they will enjoy. Over the years we've been to museums where we've seen sport cars, sedans, truck, motorcycles, wagons and lots of other vintage vehicles. 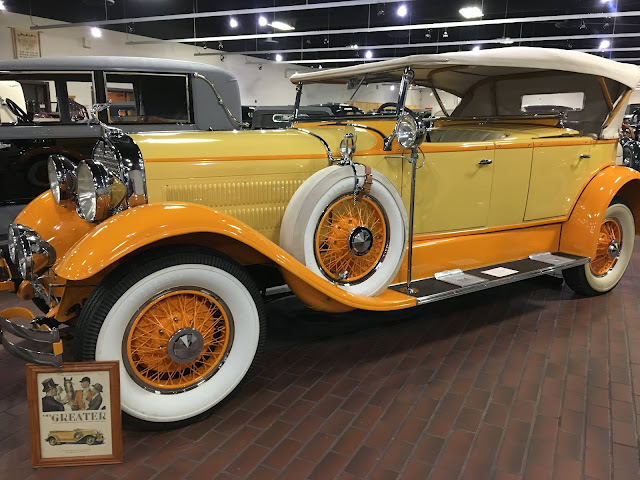 One such museum we've been to that has amazed my kids in the Hostetler's Hudson Auto Museum in Shipshewana. Get tips on places to go, things to see and where to eat with your family in the Midwest.